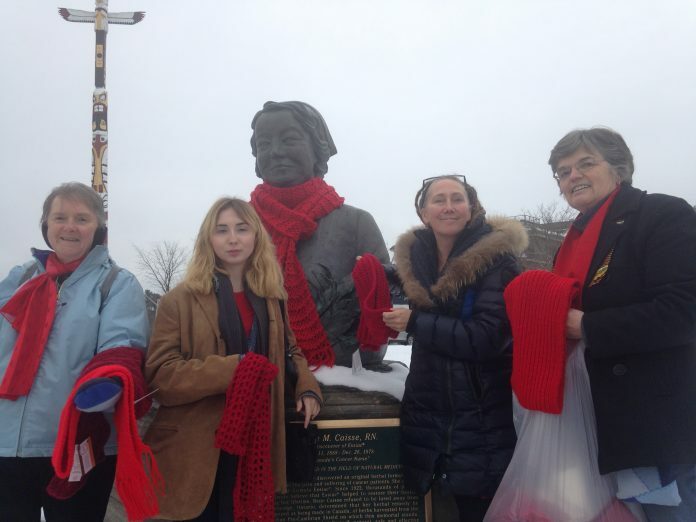 A group of women from the Muskoka Grandmothers of the Stephen Lewis Foundation met at the Rene Caisse statue in Bracebridge on Nov. 25 and wrapped her with a red scarf in support of HIV/AIDS awareness week. The women then proceeded down both sides of Manitoba Street and attached 32 handmade red scarves to various railings, park benches and a bear statue. 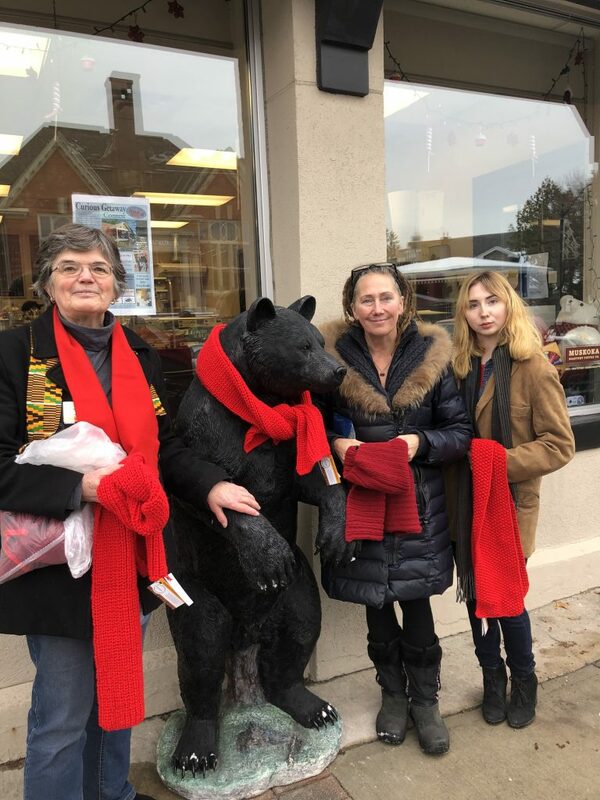 The scarves were created as part of a larger movement to raise awareness for and reduce stigma against HIV/AIDS and are available for anyone to take and enjoy. For more information, visit www.redscarf.ca.